- Rebuild profile UI bindings. - Removed blank area on main window. - Moved "Activation Key" and "XIM Profile Key" to main window. - Internal changes on script handling. - Last profile is loaded on startup. - Window size is remembered from the last session. - Added button to send current profile XIM Profile Key to XIM. - Multiple scripts can be selected when assigning scripts to profiles. - Profiles are now ordered in an alphabetical order, except default profile. - Numlock state and shift do not affect numpad keys. The behavior is as if numlock would be on. - Ctrl+Alt+Del combination breaks passthrough mode. I was going to do a video explaining all the changes, but thought it would take too long. I want to get the release out of the way, so I can focus on new features instead. This one took a long time to make, the changes might not look like a lot, but the amount of code changed is much more than in any of the earlier versions. This should be so far the most stable version. v1.2 was completely broken. The big new feature is the thing I call "Activation Processes". This is supposed to emulate the way mouse and keyboard profiles are bound to PC games. You can turn on the feature from options in inside "Profile activation processes". In most cases you would use only the "Start", but for more exotic drivers like Roccat Swarm, you also need to use the "Exit". - "On, Visible": Will open the process with window visible. Meant mostly only for debugging purposes. - "On, Hidden": Will open the process with window hidden. However the window is still brought to the foreground if Link has the foreground focus while activating the passthrough. The executables for binding are located in the folder called ProfileProcesses in the XIM Link documents folder. "Default" is the name of the starting executable and "Exit" is the name of the exiting executable. Note that these only exist if the mode is On in the settings. For example, for logitech you would bind you profile to "Default.exe" and you should also check box "Lock profile while game is running". Now the profile is activated every time the passthrough is enabled. For drivers like logitech, where the profile is locked while the process is alive, this works even on the backround. This is not the case for drivers that track only the foreground focus. Also NOTE: Some antivirus software might trigger on the executables with a warning of something like "Machine Learning". This is because these executables are automatically created, opened and closed. - Tray mode, this will not support any deep sleep 0% CPU mode yet, but along with the hotswap support, you can start Link automatically on PC startup and it should "just work". - Joystick rebinding, I have a plan of the editor UI already. Have not decided yet where to put the bindings, I was thinking of the putting those in the same listbox with the scripts. Got so excited seeing this update. Fixes 2 things that I had a issues with. Had to install it twice but I probably did something wrong but works now. It had my profiles still there with the key mappings still there which I found a bit odd but happy with. Will be trying it out and will give update if any issues come up. Thanks for the update and hard work. I had to delete the old XIM link folder unistall 1.2 but now its all running smoothly now thanks for the hard work W11cE appreaciate it.looking forward to trying out this update now! 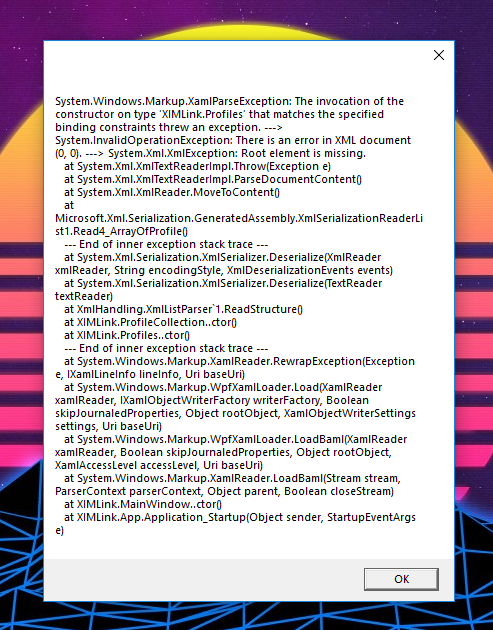 It was my understanding that xim was never to have macro support. That way if it does become an issue you can better distance yourself. Really don't understand your post but okay. Do you have an idea of time before the ability to use the G13 analog stick will be usable via Xim Link ? Could you clarify? Where would you connect your devices instead? It should be already usable, if you configure it to work as a joystick on the driver settings? I know link isn’t intended for scripts but would here be a version to run scripts without having your device connected to your pc just to your console through XIM manager? Sorry if what I’m saying makes no sense never messed with scripts before just looking for something new learn and play with. Nope.. I tried that before posting. It acts as if the joystick it constantly inputting when it is rested and when the joystick is pushed to the extreme it stops as if in rest position. There is no problem with the joystick when playing a pc game, or when using directly connected to the apex. I will put a video together if needed to show what I am probably explaining terribly. Could you find this from event viewer and get the full stack trace? This exception has not come on anyone else yet and can come from anywhere. getting error with the weekly build,it was running fine for past couple day ..